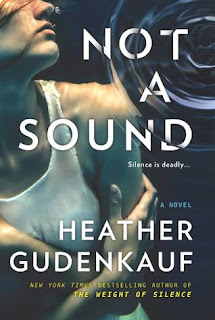 Not a Sound by Heather Gudenkauf is a 2017 Park Row Books publication. This novel delves deeper than the taut, suspenseful elements, touching upon some timely issues, while creating a sympathetic character, in Amelia Winn, that is at once vulnerable, but whose resilience is inspiring. Amelia Winn is an RN, happily married, with a step daughter she adores, when her life changes on a dime. She is left profoundly deaf after a horrific car crash. Her equilibrium is knocked out of whack in more ways than one, and she turns to alcohol to cope, which causes her marriage to end. Now, she is slowly fighting her way back, looking for work, and trying to be a mom to her beloved step daughter, with the help of her good friend, Jake, and ‘Stitch’, her therapy dog. Yet, just before a promising job interview, Amelia discovers the body of a woman she was once friends with, and her life once more spirals into dangerous territory. The story got off to a deceptively slow start, but the isolated atmosphere was perfect for eliciting a few spine tingles, setting the stage for some tense, nerve wracking suspense. It is hard enough to find oneself in imminent danger, but it’s doubly hard when you are handicapped in some way. 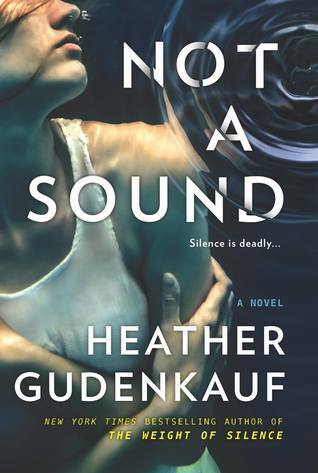 Amelia’s deafness puts her in a perilous situation, when she begins to dig into the circumstances of her friend’s death, and someone isn’t pleased about it. While this approach has shown up in books, television, and movies, it never fails to make me nervous, making my palms to sweat. The final showdown nearly gave me a heart attack, but on a more serious note, the author delved into some uncomfortable topics, such as cancer, and the dangerous temptations, some healthcare providers may entertain, which should send even more chills down your spine. The downside is a certain amount of predictability since I think seasoned readers will have the ‘who’ part figured out, although that really doesn’t have much of an effect on the suspense levels, in my opinion. However, there were some implausible moments, here and there, and the wrap up was too brisk, with some issues hurriedly glossed over. On the plus side, Stitch is a real hero, and I love it when a book showcases the work these specially trained dogs do for humans. Overall, this is a very suspenseful, thought provoking psychological thriller. 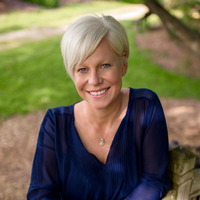 Heather Gudenkauf is the New York Times bestselling author of The Weight of Silence, These Things Hidden and One Breath Away. She lives in Iowa with her family.